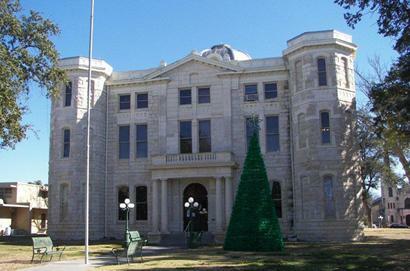 Val Verde County Courthouse Del Rio Texas. 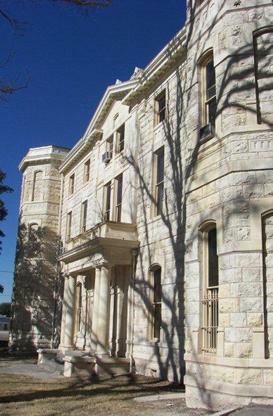 This building is the only courthouse Val Verde County has ever had. 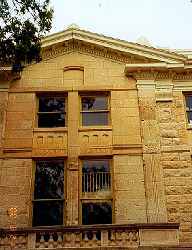 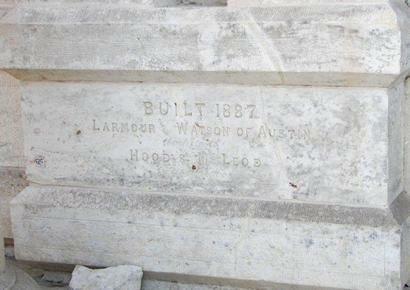 Although originally designed by Larmour and Watson, Atlee B. Ayres supervised the restoration which occurred in 1915. 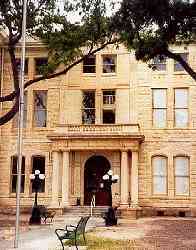 Other Ayres designs include courthouses in Brownsville, Kingsville, Alice and Refugio. 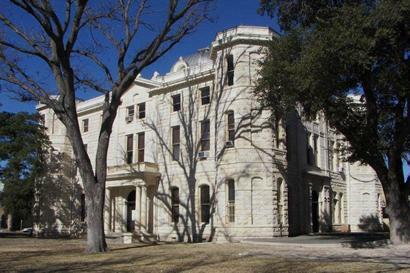 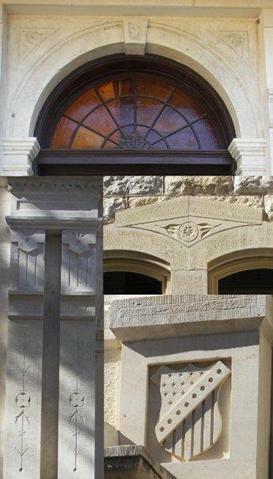 The Val Verde County Courthouse has recently undergone a beautiful restoration. 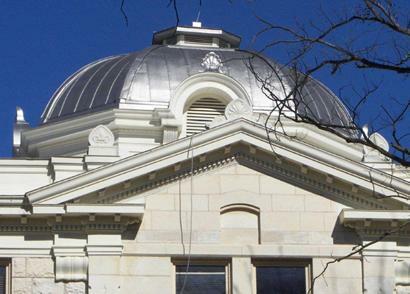 "In 1915, after a third floor was added, the original clock-tower cupola in the center of the courthouse was replaced by this silver dome." 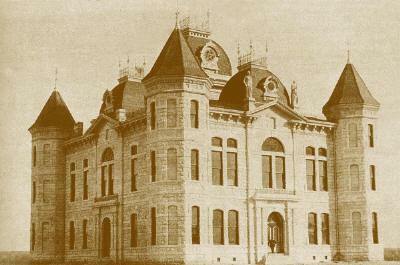 Val Verde County Courthouse before the 1915 remodeling. 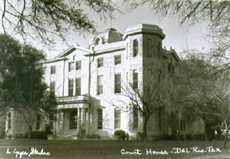 Note the cupolas, turret cones, and statues. 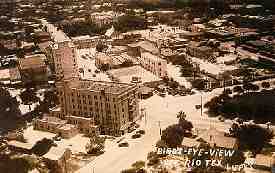 Aerial view of Del Rio, 1939. 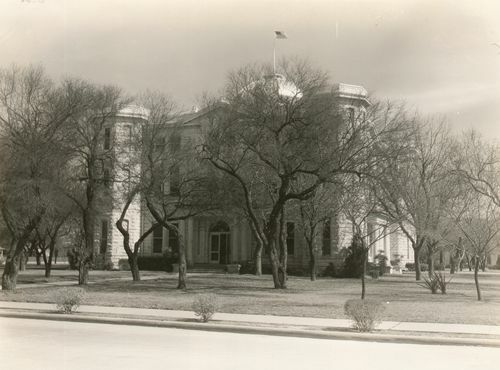 Val Verde County Courthouse as it appeared in the 1950s.